In 1909, the Church published a manual titled "Course of Study for the Quorums of Priesthood of the Church of Jesus Christ of Latter-day Saints." 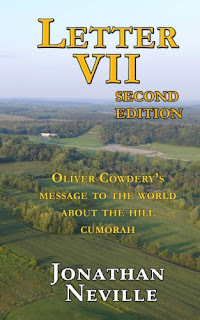 The place where the Nephite record was deposited must and ever be of interest to those who believe that record to be true, and therefore a description of the hill of Cumorah will not be out of place in concluding this chapter. The General Committee who prepared and published the manual included Rudger Clawson (ordained an Apostle in 1898 and President of the Quorum of the Twelve in 1921), David O. McKay (ordained an Apostle in 1906, Second Counselor in the First Presidency in 1934, and President of the Church in 1951), and Charles W. Nibley (who became Second Counselor in the First Presidency under President Heber J. Grant in 1925). M2C intellectuals want you to believe that these men, along with the other General Authorities who approved the manual, misled the Church because they were ignorant speculators who needed to be corrected by Matt Roper, Jack Welch, John Sorenson, Tyler Griffin, Mark Alan Wright, Dan Peterson, and all the other M2C intellectuals at BYU/CES and Book of Mormon Central.